The 2018 Honda HR-V is a subcompact SUV, slotted below the compact Honda CR-V and mid-size Honda Pilot in the brand’s crossover SUV lineup. 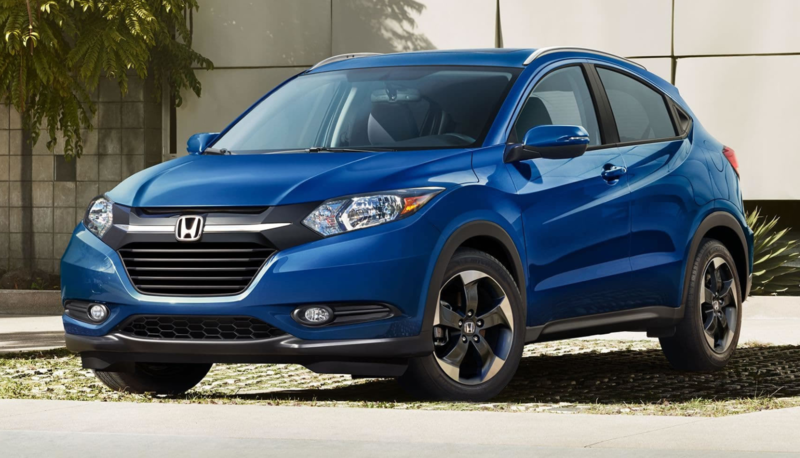 Priced from a starting MSRP of $19,670, the HR-V is a compelling entry point for shoppers on a budget looking for the improved visibility and utility over a traditional hatchback, like Honda’s Civic Hatchback or Fit. Summary: The 2018 Honda HR-V functions best as an efficient city runabout with its good visibility. Although its interior has adequate room, it is not the most comfortable choice for a long road trip. Upgrade to the Honda CR-V for a better ambiance and driving experience. As expected for this class of vehicle, efficiency comes at the cost of performance. So, drivers may notice it takes extra effort to quickly merge onto the highway. A disappointment is the “Acceptable” rating on the driver’s side small front overlap test from the Insurance Institute for Highway Safety, other competitors have attained a “Good” rating in this area.